Tope Sharks are the official name of the Soupfin Shark, although the West Coast has called them that for a century. 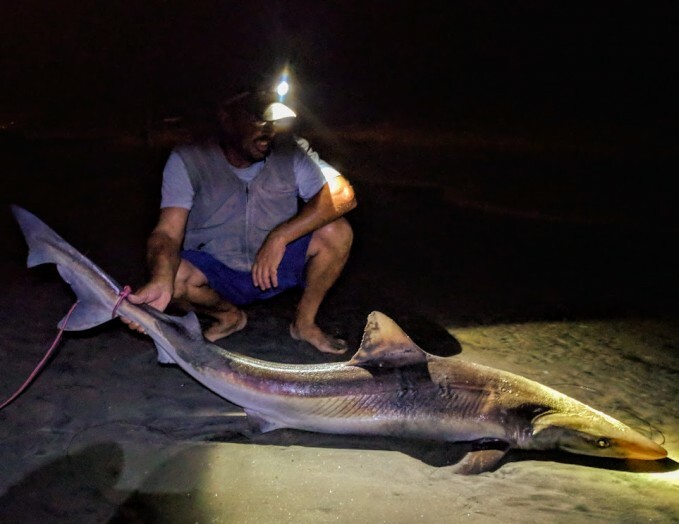 It’s been a few months since we’ve seen some significant surf sharks caught, but last night things started picking up! In a short 2.5 hour window, these anglers hooked 3 nicer grade Tope Sharks and got two of them to the beach along with 3 Leopard Sharks. To read up more about these anglers adventures, follow the link to the forum and enjoy. In any case, enjoy and see you at the next tide change!